Read the full and very positive article on Timeout published on 15 August 2015. Former Blur frontman Damon Albarn surprised Leytonstone residents last week when he gave an impromptu performance of the Blur classic ‘Parklife’ in the Red Lion pub on Leytonstone High Road. Damon Albarn was visiting Leytonstone, where he grew up as a child, a week before he releases his first solo Album Everyday Robots on 28 April 2014. Everyday Robots includes songs based on memories of his childhood at 21 Fillebrook Rd, just a few steps from Leytonstone tube station. Tracks on Everyday Robots include ‘Hollow Ponds‘ and ‘Mr Tembo’, a track which features the choir from the Pentecostal City Mission Church on the corner of Kingswood Road and Colworth Road. Posted in Music and tagged Damon Albarn, Hollow Ponds, Mr Tembo, Parklife, Red Lion on 28/04/2014 by L Horton. The story I reported about locksmiths stickers being used by potential burglars has taken some twists and turns in the last few days. The story was originally reported on the BBC website about a burglary in Wandsworth, but doubt has now been cast on whether this is just some form of advertising as the practice is clearly more widespread, including in Waltham Forest. 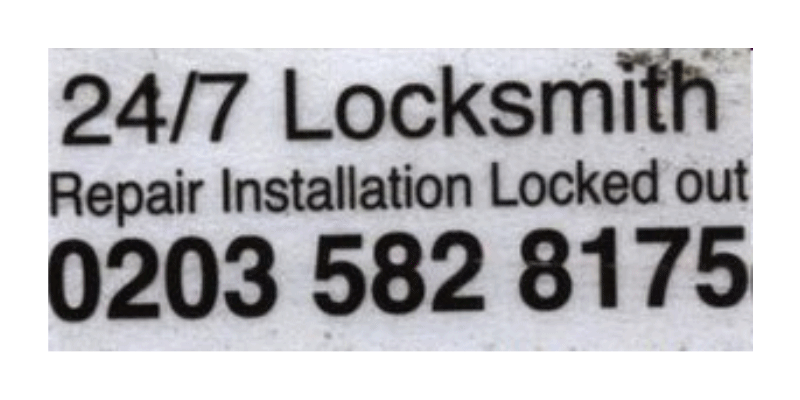 Beware ‘locksmiths’ stickers placed on your front door, they may be a sign that burglars are targeting your address. The BBC is reporting that burglars are targeting homes with fake locksmith’s stickers placed on front doors. The report states that this is happening in Wandsworth but I had one on my front door a few months ago. Please read and share this BBC report — and beware! Undeterred by yesterday’s fire, the boats were back on Hollow Pond today and people were out enjoying themselves in the albeit cloudier weather, but the scenes of devastation made it clear that this was by far the worst fire to have hit this part of the forest for very many years. Fire damage was not confined to one area but affected parts of the forest near Snaresbrook Road and the former lido, and a much larger area from the main pond past the small pond and down towards Snaresbrook Court (some media reports yesterday described this incorrectly as Wanstead Flats — slightly confusingly this part of the forest is formerly known as Leyton Flats due to it being historically part of the old Borough of Leyton and Leytonstone). The Hollow Ponds area was evacuated by police this afternoon as fires broke out and smoke engulfed the pond and surrounding forest. 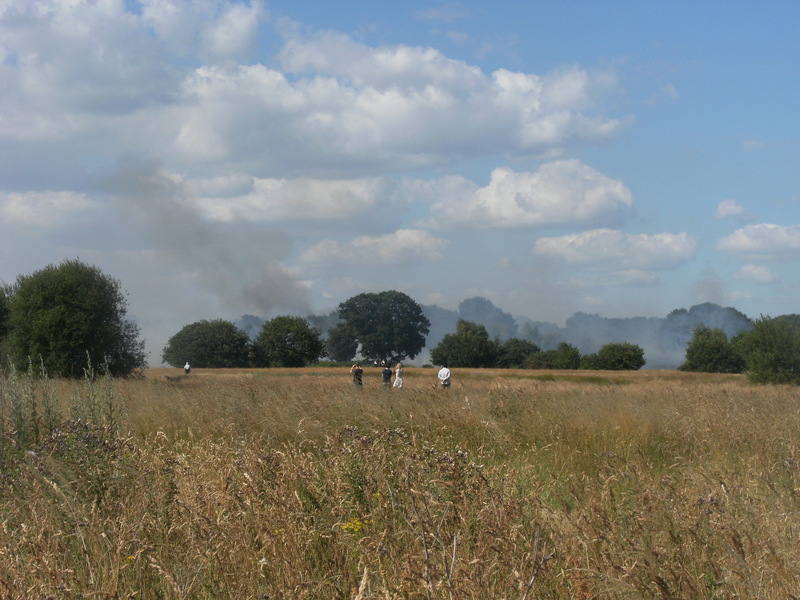 Rowing boats were called in and people were asked to leave as fire engines moved in to tackle the fire towards the north end of the main and small ponds. Fire engines had already attended a fire earlier in the day by Snaresbrook Road causing the road to be shut off to traffic and further traffic disruption was caused along Whipps Cross Road and surrounding roads as a result of the later fire.